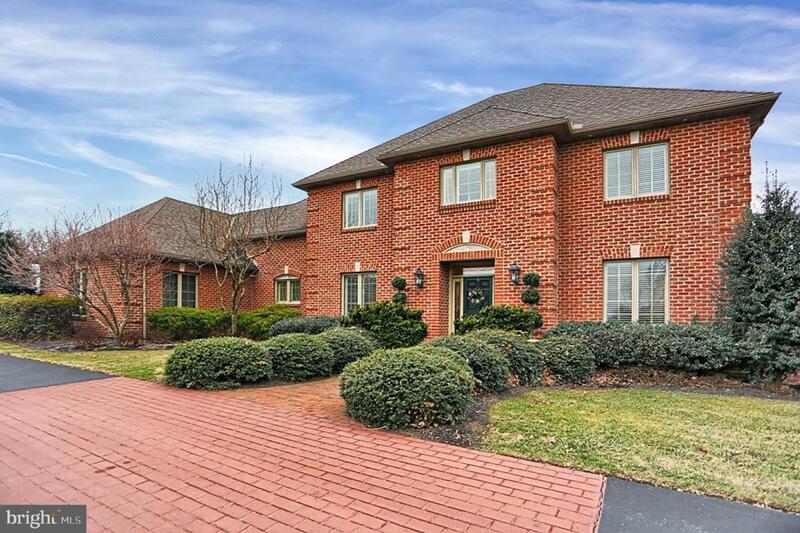 This is a Stunning Monticello Brick Home in The Peninsula. 6 Spacious Bedrooms with 4 Full Baths and 2 Half Baths - this home has plenty of space for the whole family. A Beautiful Curved Staircase and Granite Tiled Foyer welcome you as you enter this Stately Home. The Gourmet Kitchen with Upgraded Appliances leads to both a bright and sunny Breakfast area and a cozy Family Room with a Fireplace and Vaulted Ceiling. A Formal Dining Room, Master Bedroom Retreat, Laundry Room, 2 Half Baths and a very Large Deck with Steps to Grade round out the first floor. Upstairs are 4 additional bedrooms and 2 Full Baths. Moving down to the lower level, you will find a Bedroom, Full Bath, Bar and Exceptional Entertaining Space. The Lower Level Leads out to a Beautifully Landscaped 3.65 Acre Property with a Heated In-ground Pool/Spa and a Covered Patio. This home truly has it all. Inclusions Window Treatments And Kitchen Refrigerator Convey. All in-ground Pool Equipment Conveys.